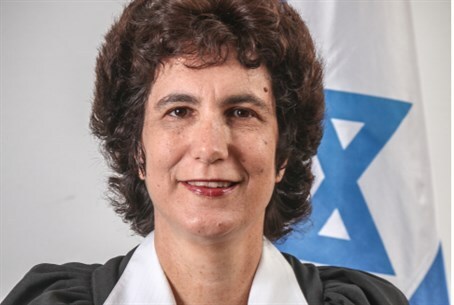 Justice Daphne Barak-Erez rejects petition on grounds of Knesset, Attorney General response. Supreme Court Justice Daphne Barak-Erez has rejected Yesh Atid's petition for an interim injunction to prevent the continuation of the Basic Law Amendment process to increase the number of ministers in the next government. In her decision, the justice wrote Monday that "after reviewing responses to the petition and the Attorney General's position, it is not appropriate to provide the requested interim order directed mainly against the legislative process." The judge added that Yesh Atid party members, who filed the petition, must notify the court by Thursday on developments over the issue. On Sunday night, Lapid gave the government a 12-hour deadline to respond to his appeal against the extension of the Cabinet from 18 ministers to 22, which was approved in a ministerial vote earlier that day. The motion, filed earlier by MK Ofer Shelah and Yesh Atid’s attorneys, claims that the current transition government is not empowered to change or update basic laws, even if it can muster the 61 votes needed to temporarily suspend the limit on 18 ministers, as the law prescribes. In addition, the motion contends that the coalition agreement provides for an unlawful distribution of funds by parties and specific MKs, distributions that the Attorney General has declared illegal. According to reports, numerous MKs in Shas, United Torah Judaism, and Jewish Home have been given specific sums, as much as NIS 20 million, to spend on projects. In the response, which was filed on behalf of Knesset Speaker Yuli Edelstein (Likud) and Knesset Legal Advisor Eyal Yinon, the Knesset argued to reject Yesh Atid's petition on grounds that the bill had not been submitted to the Knesset for vote yet and is therefore premature. The Attorney General also filed its response to the petition, stating that "there is no room to extend the interim orders sought" due to the low likelihood of the petition being ratified and due to time and convenience considerations in the rush to finalize the government. The Attorney General's Office also stated that the case does not justify High Court intervention and that any discrepancies in the law will be addressed internally by an intra-parliamentary committee.